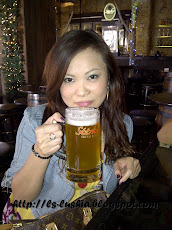 Well, here is a post to share with everyone! And still...it's about another outlet by The Big Group- Ben's General Food Store. 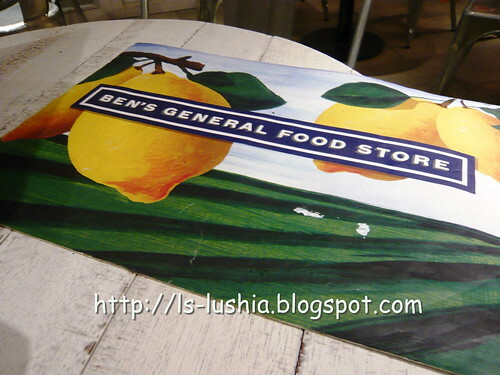 Ben's General Food Store comprises two sections, the cafe and the food store- A cafe with simple whitish classic design and arrangements and a food store with plenty of imported food. 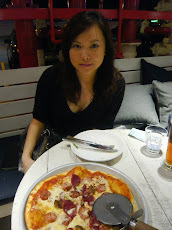 The cafe serves varieties of fresh and hearty salads, authentic and delightful pizzas and tempting desserts. 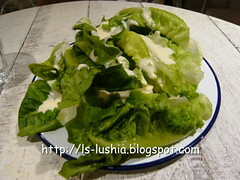 Cos lettuce with croutons, turkey bacon, eggs and Gruyere crisps with appetizing dressing. A pleasing start indeed! Pizza baked and topped with tomatoes, mozarella, beef pepperoni (not in the above pic) turkey bacon, chicken cheese sausage and lamb chorizo- love the tasty turkey bacon and lamb chorizo- Overall, it was a good one! 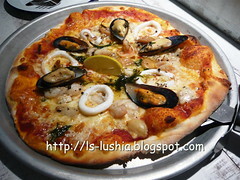 Pizza baked and topped with tomatoes, mozarella, garlic, mixed seafood of shrimps, fish, mussels and squids- Tasteful! More seafood please? And here comes our dessert! 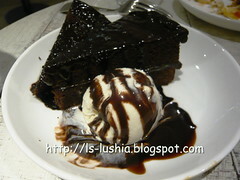 Thick and moist chocolate cake served with vanilla ice cream. 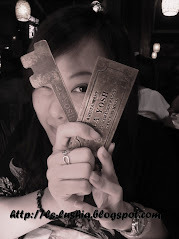 Toothsome! 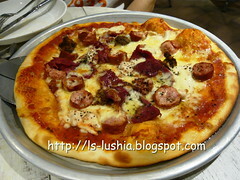 Besides Pizza Hut or Shakey's, here's a good recommendation for everyone. Be warned, it's pack during lunch hour and dinner time- be early!